Cash flow is the key to any successful marketing campaign. The goal is to identify the companies or individuals who will most likely buy your goods and services. By doing so, you will be able to more effectively promote your brand. Identifying your best potential customers and separating them from the rest is the best way to grow your business and ensure greater cash flow. 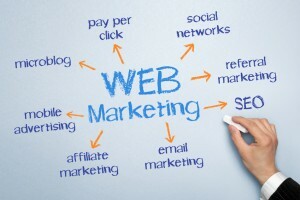 Integrated Marketing Campaigns will use various media sources (ex. Web site, Social Networks, E-mail, Pay-per-Click [PPC], as well as traditional) to deliver the strongest message. Single-media campaigns typically do not provide enough for your potential customers to grab hold of. However, if someone sees your business in more than one media location, they will have more opportunity and likely more interest in checking into your products and services. Make a bolder statement by having a larger presence in various forms of media and you will naturally attract more attention. Effective SEO will promote your Web site and your goods and services on search engines, which will increase Web traffic and new customers. CRM and SEO are two solid ways to promote your brand to the best potential customers and make it faster, easier, and more efficient. Generate new cash flow today!